We are all feeling the housing downturn. For those of us that are hopeful this will turn around soon….. well, let’s remain hopeful. On January 21st, 2019 CBC released an article that states “46% of Canadians $200 or less away from financial insolvency: The two province that are going to be hit the hardest from this – Saskatchewan and Manitoba. “Saskatchewan and Manitoba residents were the most likely to be near insolvency, at 56 per cent, up eight percentage points from the previous poll, MNP said. How Does This Insolvency Affect Us In Saskatoon? If you are trying to buy or sell a home now, it’s time to get realistic on pricing. You are not going to get the same home prices you did last year and you are definitely going to get the same house prices as you did 5 years ago. If you do not HAVE TO sell right now. Don’t sell. Wait for a sellers market if you can, because we are in a buyers market and it looks like we will be that way for a while. Is Housing Becoming More Untenable? For those just getting started, or those without support of family or a down payment – it can be harder to get a house. Interest rates are the highest they have been in a long time and new home buyers have to pass a stress test. 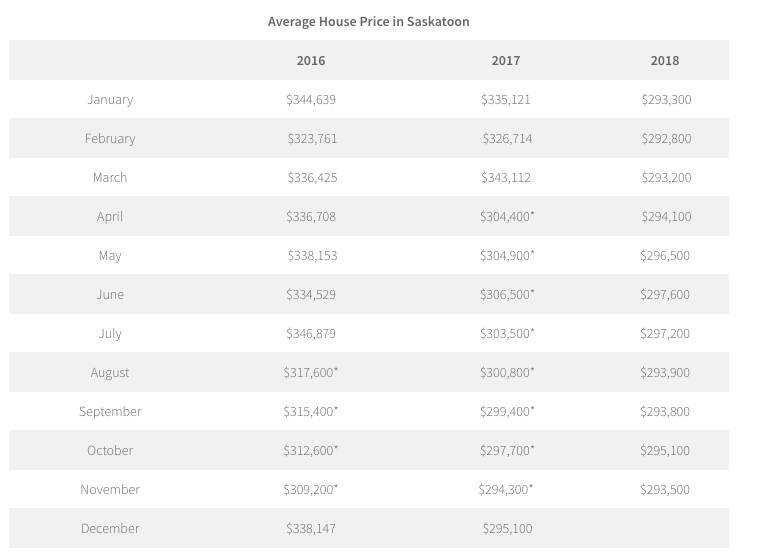 Data suggest that back in 2016 the average home price in Saskatoon was $338,147. Compare that to 2018 and the average house price is $293,500; that’s a 14% difference in 2 years. While home prices have come down, interest rates continue to rise and so does the cost of living. Higher interest rates combined with household expenses that outweigh income mean some people are unable to make any kind of meaningful reduction in their debt and, in fact, continue to take on more especially if they encounter unexpected expenses. Because of these factors some people are finding home ownership exceptionally harder. Most people are in a wait and see holding pattern. If you are a home buyer, this is a great time to buy, especially if you are pre qualified. If you are a home seller and you can wait this out, we suggest you hold. With that being said – if you bought in this market and are selling in this market, continue to do so. If you bought your home 10 years ago, it’s also a great time to sell as you (most likely have also made money on your home). As always, if you need help buying or selling your home don’t hesitate to contact us.